Passengers on Allegiant flight 1032 from Oakland, Calif., on Monday, Oct. 28, are calling on the Department of Transportation (DOT) to shut down the carrier after their flight to Provo, Utah, arrived 12 hours late. The flight normally takes less than one hour, but three mechanical problems caused the delay, though very little of the time was spent on the tarmac. “We never want to delay or inconvenience our passengers, but the safety of our passengers and crew is our number one priority,” said Jessica Wheeler, public relations manager at Allegiant Travel. Under DOT rules, airlines must disembark passengers from planes delayed on the tarmac three hours or more. 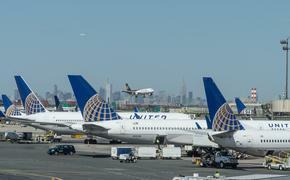 United recently incurred a $1.1 million fine, the highest ever levied on an airline by DOT for a violation of its tarmac rule.